Generic Routing Encapsulation (GRE) is the future of secure communication. Connection established over protected channel through point-to-point encryption allows packets to be sent back and forth securely. Through secure communication protocols, GRE Tunnel encapsulates network packets over an added layer and delivers the payload directly from one point to another, encrypting and decrypting at endpoints only thereby giving you total protection. By using Generic routing encapsulation (GRE) tunnel, BlockDOS is able to offer you with an enterprise-grade communication protocol which establishes direct end-to-end connection between any network infrastructure. This allows you to use multiple protocols network backbone which supports a single protocol only. On top of this, GRE tunnel has a lower footprint than rest of the high resource demanding alternatives like IPSec VPN. Most importantly, GRE tunnel is a solid workaround for networks that support a limited number of hops. 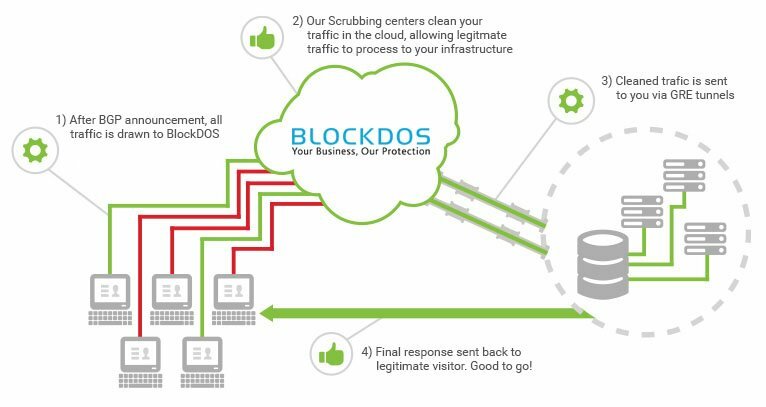 BlockDOS GRE tunnel makes use of encapsulation to establish direct connection to your server with comprehensive DDoS mitigation solution deployed at the edge of your network. 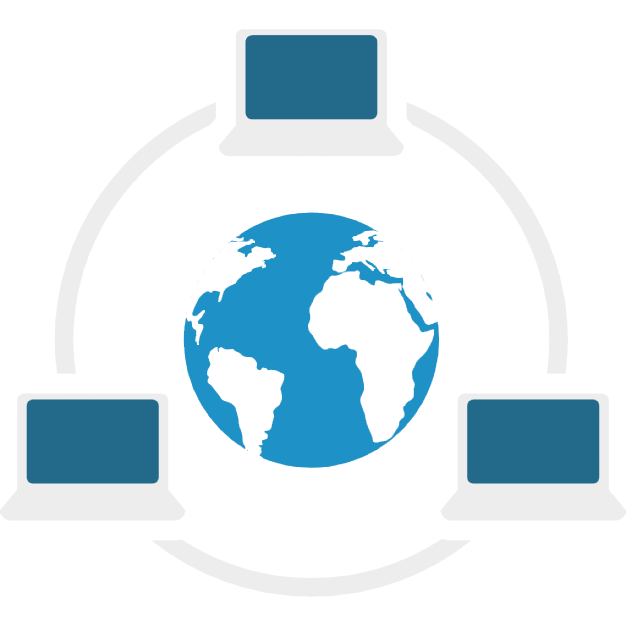 When you sign up for our GRE tunnel protection, we will assign you a secure IP from our protected IP range for routing traffic. This would allow a GRE tunnel to be established between your servers and our network. Once GRE tunnel is setup properly (which is usually within minutes), it is used to route clean traffic from our network to your server and vice versa. The next step involves you pointing your DNS to our secure IP. Once the DNS is propagated, within minutes if the TTL - Time to Live - is kept within 300 seconds, all traffic to your website flows through BlockDOS network. It’s inspected by our DDoS pattern recognition system and filtered through hardware firewalls. Once we have produced “clean” traffic, we pass that onto the GRE tunnel which connects our service directly to your website. So if you are interested in protecting your critical network infrastructure, please contact us today for a free custom quote. If you require GRE tunnel protection to secure your digital infrastructure, loop us in and our dedicated team will sort out everything for you.